A working-class fable from a Euro-indie auteur. "So there's no hope?," bed-ridden Arletty (Kati Outinen) asks her doctor midway through Finnish writer-director Aki Kaurismäki's 2011 film Le Havre. "Miracles do happen," the doctor says, unconvincingly. "Not in my neighborhood," Arletty says blankly. Arletty's neighborhood is a multicultural, working-class corner of the film's titular French port city, here populated by a Finnish-French-Senegalese cast. Perhaps in real life, miracles are hard to come by in a neighborhood like Arletty's. But in Kaurismäki's warm-hearted collectivist fable, good things just might happen to good people. Kaurismäki has a minor profile in the U.S., thanks mostly to his terrific 2002 film The Man Without a Past, about an amnesiac rebuilding his life, and perhaps more so for his 1989 cult film Leningrad Cowboys Go America, about a fictional Russian rock band on tour in the States, which included Memphis among its locations. But apparently his profile wasn't strong enough to ensure better distribution for Le Havre, which was a considerable critical hit when it debuted at the Cannes Film Festival last summer but arrives in Memphis for a single screening at the Brooks Museum of Art this week. Marcel and Arletty live happily, along with their dog Laika (which is also Kaurismäki's dog Laika), until their lives are complicated by, first, Arletty's hospitalization (though she protectively keeps the severity of the illness from him) and then by the appearance in the neighborhood of Idrissa (Blondin Miguel), a refugee African boy who escapes from a cargo ship and is on the run, separated from his family in an attempt to flee to London and sought by authorities — including stern but not heartless inspector Monet (Jean-Pierre Darroussin) — as an illegal alien. Marcel helps and eventually harbors the boy, finally enlisting the community — the grocer, the baker, the barkeep — in his direct action, which includes a "trendy charity concert" headlined by real-life veteran French rock-and-roller Little Bob. 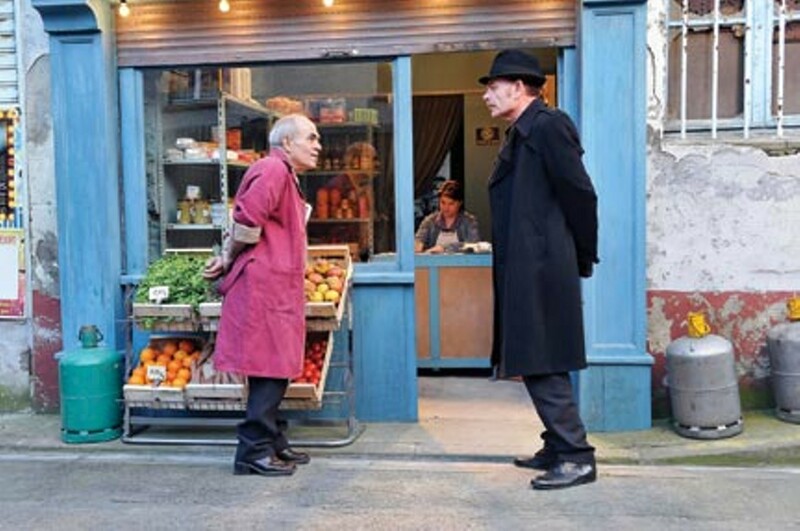 Kaurismäki presents his utopian fantasy amid the backdrop of real-world immigration problems, and his colorful, generous depiction of community solidarity is cut with his typical mix of stoic and sardonic tones. And the rich photography and deadpan framing will remind viewers of American inheritors like Jim Jarmusch and Wes Anderson in their stylization. Thursday, April 12th, 7 p.m.